Your support of The De Pere Historical Society means more than just a show of your interest in our community’s history, it illustrates your belief in the need to preserve that history for future generations. Membership support is vital to the proper preservation and maintenance of both White Pillars Museum and the Polo Resto Service Station. This support allows The De Pere Historical Society to insure the availability of the displays and archival resources at White Pillars Museum which are used every day by researchers and visitors to the museum. Your support also assists us in our current development of educational programs for De Pere’s Elementary Schools, in the enhancement of our unique Museum Archive Research System, and in plans for the future of the De Pere Historical Society. 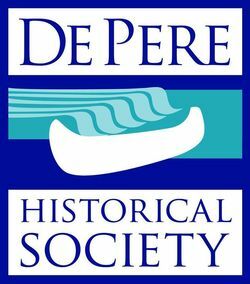 The De Pere Historical Society Board of Directors would like to thank you for your membership and support during this past years. The Board continues to maintain White Pillars Museum and the Polo-Resto Service Station along with planning various events during the year. Please stop in and see what changes have been made at White Pillars such as the new Digital Archive System (M.A.R.S) which is operating with great success. The system is very easy to use, even for those with limited computer skills, come in and check it out. The Picture Shows are a lot of fun, very informative and enjoyed by many. The Board of Directors cannot do all this alone, your support is an integral part of what we do. We urge you to renew your annual membership so that together, we can continue to preserve De Pere’s rich history. To become a member, either print and mail the application below with payment, or submit online via paypal. Thank you! Or use PayPal to join!! We are incredibly grateful for those businesses who generously sponsor our programs and initiatives. To share your business's support, please download our sponsor form. The De Pere Historical Society has a variety of projects for willing volunteers. The work is not hard, only rewarding! Project work is located at the White Pillars Museum, during regular open hours. All needed information and training is provided. For more information call 920-336-3877. Process funeral and mass cards; file alphabetically in plastic sleeves and place in binder. Fill out donor and accession forms. Process photographs; number, place in archival sleeve, file. Move materials from older file folders into archival folders. File historical papers, letterhead, etc. into file folders. General weekly cleaning; vacuum, dust, etc. Want to help out? Fill out our online volunteer form.